Everything you need to know about Diamonds when purchasing. Before you shop, take the time to become familiar with the 4C’s of diamonds. Become comfortable with the terms and take time to understand the quality factors. Shop around to educate yourself, do research online, and never let anyone rush you into making a decision. The first thing to consider is the Cut, this affects the diamonds brilliance and cost NOT its shape. A well cut diamond will have lost of sparkle and inner fire. A poorly cut stone will sell for half the price of an exceptional cut, and a poorly cut stone will be prone to faults and chipping and breaking. While Cut affects the brilliance and sparkle a diamond will offer, Clarity effects the amount of light that will be reflected back to the naked eye. The higher the grade of clarity in a diamond, the more white or colorless it will be. Like glass, the less color will allow for more light to pass through and radiate from within. One word of warning is anyone trying to convince you that a Blue diamond is superior. They are in fact of lower standards then a colorless diamond and have often been used in the past in many scams on the uneducated public. Is bigger better with a diamonds Carat weight? A diamond has 100 points to a carat, be aware that prices increase as the stone reaches a full carat weight. Going with a diamond that weighs 90 points or 9/10ths of a carat will look the same when set in an engagement ring and be significantly less in price. Shapes of diamonds are becoming more popular. Choosing a Marquise, Oval, or Pear-shape over the traditional brilliant round cut can become visually more appealing and seemingly larger then than the round. Consider several smaller stones over one large diamond. Choose a design shape and compare a single large over three smaller diamonds that amount to the same carat weight. 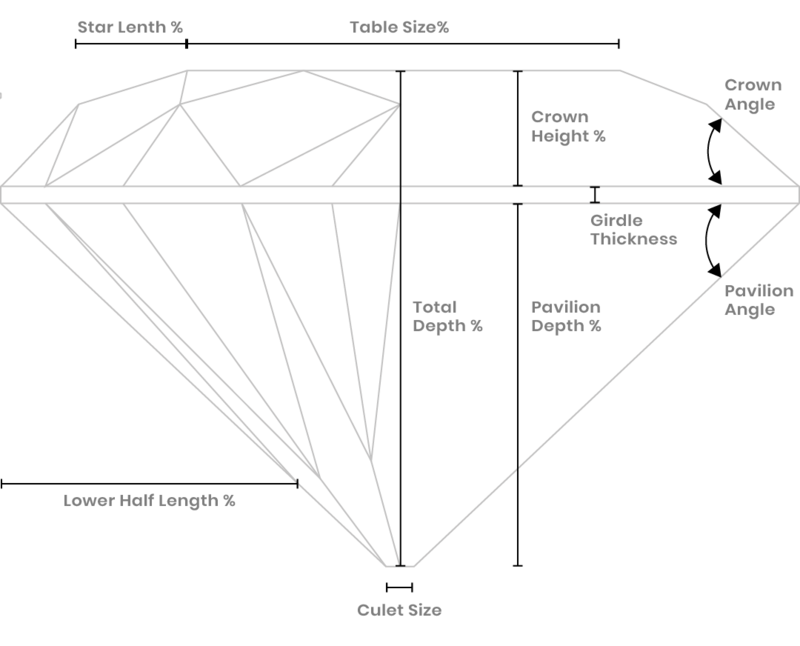 A diamonds Color is measured in grades from D to Z. While the D through F range might be out of your price range, choosing a diamond from within the top 10 color grades still gives a great performance when mounted in one of our settings. Setting a diamond in white gold or platinum can make the stone appear whiter. If the diamond has noticeable yellow tints in it’s color, choose yellow gold to make the tint less noticeable. A diamond does not have to be flawless to be beautiful. Remember, the right cut and shape can make any diamond in any grade attractive and no less valuable. An informed shopper makes a smarter purchase. Take the time to learn about what makes a diamond precious. The more you know the better your choices will be. The shape of a diamond depends on the wearer and their personal taste. Diamonds come in a variety of shapes designed to catch the light and display it’s inner fire. The traditional round cut has been superseded by more elaborate cuts and styles available. Each designed to accentuate the jewelry that it is set into. A traditional style cut that leaving room for light and sparkle. Used to create stunning engagement rings that show off the center diamond. Heart Cut, Used in earrings and pendants, this style of cut is now becoming popular with engagement rings and single pendants. Marquise Cut, Classic and stylish while easily becoming the new “traditional look”. Looks beautiful in single solitaire settings. 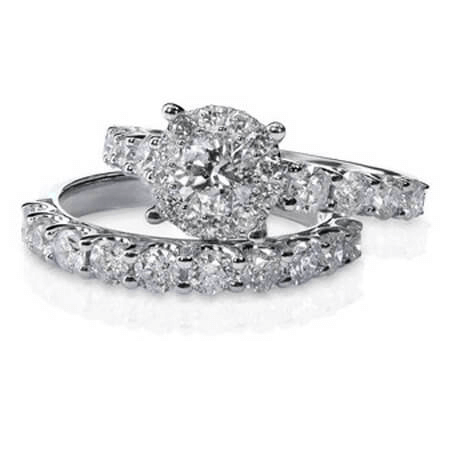 Oval Cut, A beautiful cut that is best shown as the center setting in engagement & anniversary rings. Also can be paired well in matching earrings for a beautiful statement in simplicity. Pear Cut, Half oval, and half marquise, the pear or teardrop cut is traditional in engagement rings. It symbolizes the promise of a future together which is sealed with the giving and accepting of a ring. Princess Cut, The square cut of this diamond makes its brilliance and extra faceting have more natural brilliance and scintillation. Radiant Cut, Designed for getting maximum brilliance. Like the emerald cut, the radiant cut diamond is often a rectangle (sometimes square), are very popular right now and make lovely engagement rings. Brilliant Round Cut, This shape has set the standard for all other diamond shapes, its 58-facet cut, divided among its crown, girdle, and pavilion is cut to achieve the maximum in fire and brilliance. Trilliant Cut, This is a spectacular cut that may be a traditional triangular shape with pointed corners or a more rounded triangular shape with 25 facets on the crown, 19 facets on the pavilion, and a polished girdle. It is definitely for the adventurous. Diamonds are formed under intense pressure over millions of years, and it’s not surprising that most diamonds have their character flaws. These flaws, called “inclusions” affect the diamonds clarity. No surprise that diamonds with few inclusions or blemishes are the most highly valued and often the most rare. VS1 – VS2 Very slight inclusion. The Cut refers to the outward appearance of a diamond not it’s shape. When talking about a diamond’s cut, this is describing the reflective qualities. A good cut gives a diamond its brilliance, that brightness that seems to come from the very heart of a diamond. The angles and finish of any diamond are what determine its ability to handle light, which leads to brilliance. This can mean the presence or absence of color in white diamonds. A diamonds color never changes with time and because a colorless diamond is much like clear glass, it allows more light to pass through it then colored diamonds giving them their sparkle and inner fire. Colored diamonds are graded differently then colorless or white diamonds and is important to remember when choosing. We grade our diamonds on a GIA (Gemological Institute of America) professional color scale that begins with D for colorless, to Z for the more Yellow or Brownish in color. Diamonds graded D through F are the most desired because of their rarity and near colorless nature. G – H, Near Colorless. I – J, Near Colorless. Slightly Tinted. K – M, Faint Yellow. N – R, Very Light Yellow. S – Z, Light Yellow. As with all precious stones, the weight & size of a diamond is expressed in carats. One carat is divided into 100 “points” so that a diamond of 25 points is described as a quarter of a carat, or 0.25 carats. Size is the most obvious factor in determining the value of a diamond, but now you know that two diamonds of equal size can have very unequal prices, depending on their quality. However, remember that diamonds of high quality can be found in all size ranges. ½ Carat. 5.2mm = .50ct = 50 points. ¾ Carat. 5.8mm = .75ct = 75 points. 1 Carat. 6.5mm = 1ct = 100 points. 1½ Carat. 7.4mm = 1.50ct = 150 points. 2 Carat. 8.2mm = 2ct = 200 points. 3 Carat. 9.4mm = 3ct = 300 points. 5 Carat. 11.2mm = 5ct = 500 points. Want to keep up on all the new jewelry, specials & sales?